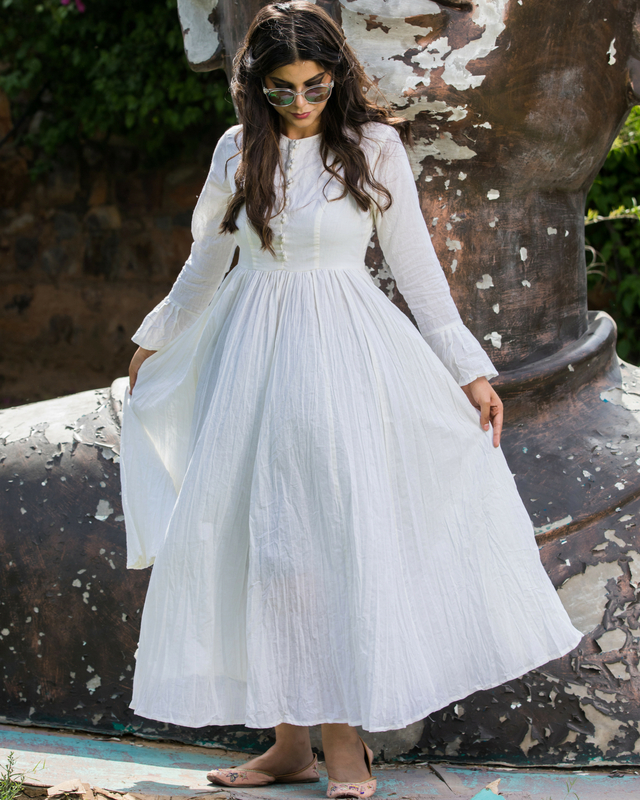 This is the ivory crinkle dress with bell sleeves. Pair it with your favourite earrings to create the statement look. S: Chest-36", Waist-29", Hip-38", Shoulder-14.5", Armhole-17.5", Length- 50"
M: Chest-38", Waist-33", Hip-40", Shoulder-15", Armhole-18", Length- 50"
L: Chest-41", Waist-35", Hip-42", Shoulder-15", Armhole-19", Length- 50"
XL: Chest-43", Waist-37", Hip-45", Shoulder-15.5", Armhole-19.5", Length- 50"